Amor Ftouhi, wearing a brown shirt and faded orange pants, sat shackled in a federal courtroom in Flint during his final pre-trial conference before his trial next month on terrorism charges. During the brief hearing, federal prosecutors revealed they had offered the defense a plea deal. The deal would require Ftouhi to serve life in prison. Ftouhi is facing several counts, including committing an act of terrorism transcending national boundaries. Prosecutors allege in June of last year, Ftouhi left his home in Montreal and traveled to Flint, Michigan. On June 21st, he allegedly stabbed an airport police officer in the neck. Lt. Jeff Neville survived the attack and was among a group of people who tackled and restrained Ftouhi. Picking the jury that will hear the case could be tricky. The court had more than 130 prospective jurors fill out a questionnaire earlier this month to find out what they knew about the stabbing of an airport police officer in June of 2017. Defense Attorney Joan Morgan told the judge many of the prospective jurors are aware of the incident and have feelings about the case. Morgan wants to excuse half the prospective jurors. Prosecutors have about 30 more jurors they want to remove from consideration. The court will have to select 12 jurors and two alternates to hear the case, which is expected to take more than a week. Jury selection is expected to take two days. Amor Ftouhi sat quietly during his final pre-trial hearing on Thursday. Wednesday, U.S. District Judge Matthew Leitman issued an order requiring Ftouhi to attend Thursday’s hearing. Ftouhi refused to attend his last court hearing. The judge directed the U.S. Marshals Service to use the “minimal” amount of force needed to insure the defendant’s appearance. But Ftouhi’s attorney says he attended Thursday’s hearing voluntarily. Attorney Joan Morgan told the court that Ftouhi has been found mentally competent. Several weeks ago, Morgan told a previous judge that she was considering a mental health defense. But she now says that will not be part of the defense she plans to present. A federal judge wants the man charged with stabbing a police officer at Flint’s airport last year to appear in court later Thursday, whether he wants to or not. Amor Ftouhi has been refusing to attend court proceedings in his case. A defense lawyer wants a mental health evaluation for the man accused of carrying out a terrorist attack at Flint’s airport last year. 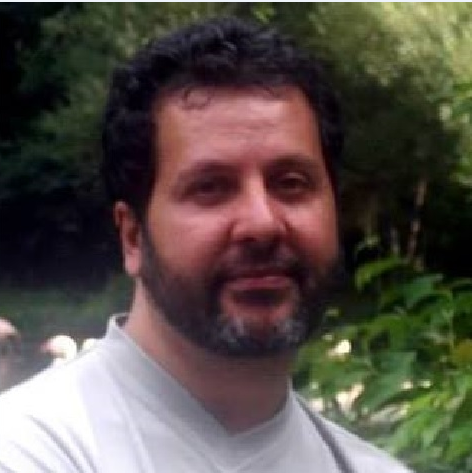 Federal prosecutors have told a judge that a Tunisian-born man who stabbed a police officer at a Michigan airport subscribes to Osama Bin Laden's ideology and celebrated the terrorist attacks on Sept. 11, 2001. The assertions were made in a court filing against 49-year-old Amor Ftouhi of Montreal, Quebec.